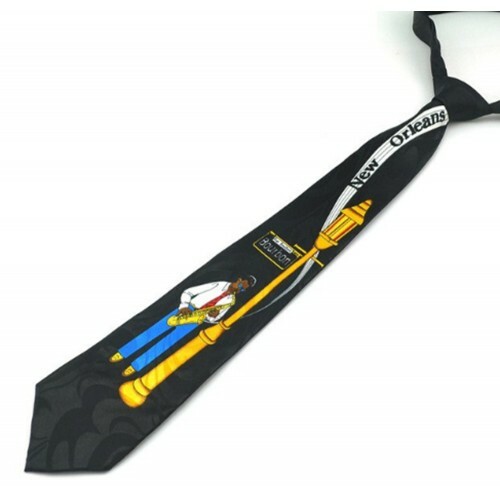 Tie for blues and jazz lovers. It represents a saxophonist who plays near a lamppost, under the sign of Burbon Street, the well-known street of New Orleans, where blues and jazz were born. From the sax a "music" comes out on a white background with the writing New Orleans. The tie has a black bottom and is made of polyester.